Ahh a lovely make-up free photo for you there, but thought it would be nice to see the difference this foundation makes. Over the past two weeks (since I bought this foundation) I have had three comments made on how flawless my skin looks. I wish I could say it was just my genes but it is in fact this foundation. In the photos I have nothing else on other than the foundation, no primer or concealer. It is quite a liquid consistency (my MAC studio fix is much thicker) but this makes it really blendable and buildable. I use it with a Bobbi Brown buffing brush, however you could use your fingertips as well. 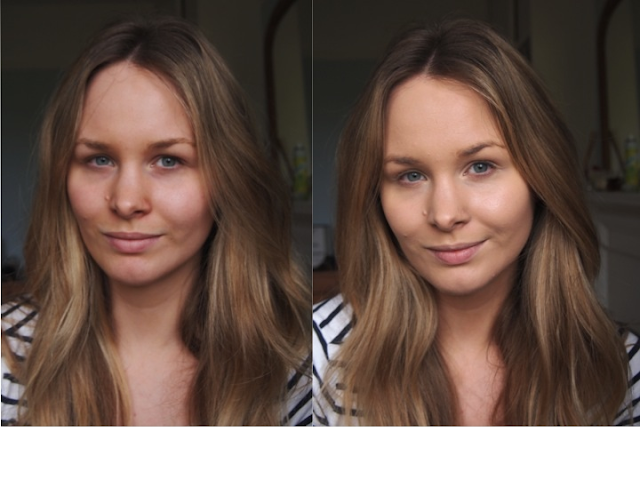 As you can see from the pictures it makes a huge difference to your skin tone, really evens it out. But it is not heavy at all. Genius! The finish is quite brightening, a nice middle ground between matte and dewy. It lasts quite well throughout the day, especially when you use a primer with it. The one thing I would say is that I seem to get a little bit shiny throughout the day, nothing too bad but worth pointing out. I'm pretty happy with this foundation and I wouldn't say I won't buy it again - but I think for my next foundation I'll still want to try something new. I'm yet to find my perfect foundation! PS how unhappy do I look in the make-up free photo ha! I've always wanted to try this foundation but after purchasing the YSL one I am on a band -- no more foundations until I really need a new one! This looks lovely on your skin -- brightens it and makes you look more awake! 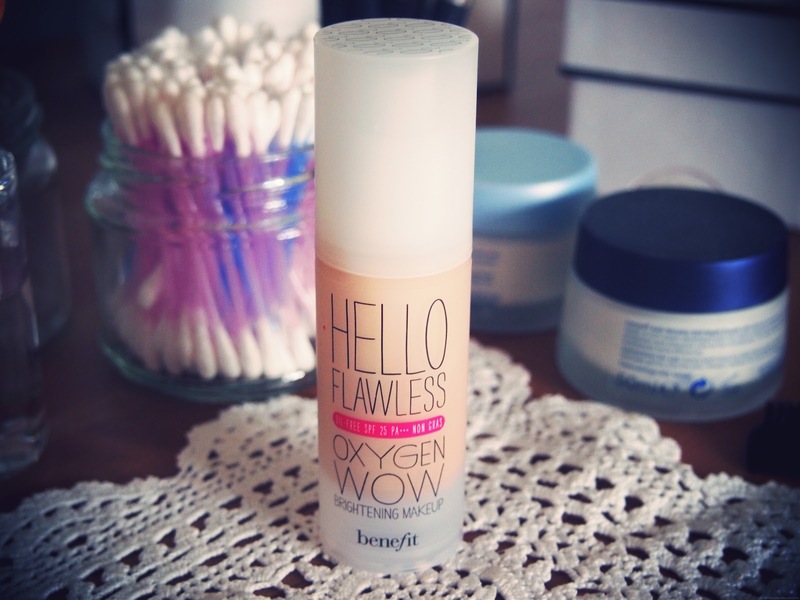 Your skin looks lovely even without the foundation (I'm jealous)! But you can definitely tell a difference. You are so naturally pretty you lucky thing!! I love this foundation.. I recently moved over from estee lauder as just couldnt get the right colour and was feeling tangoed..